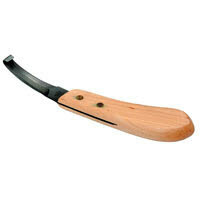 Double-edged hoof knives are recommended for cutting and cleaning large areas of the sole. Designed to allow maximum leverage and pressure. A blade on both sides makes this knife very versatile.